Teen Amateur Of The Week: Jared Lifts With Teenage Rage! Jared's powerlifting roots provided the perfect springboard into bodybuilding. 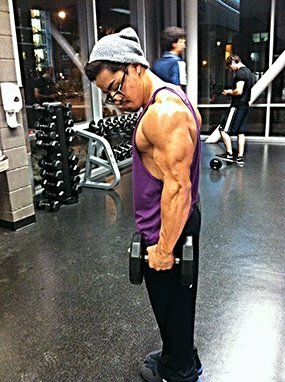 See how this teen stacked muscle onto his frame and competed to win! I was teased throughout middle school because of the way I dressed and acted. I was a little skater boy and transferred schools because of the hazing, but it didn&apos;t stop. I got in a fight the week before my freshman year of high school and lost because I only knew how to kick from four years of Tae Kwon Do training. After I lost the fight, I promised myself that I would never lose a fight again. My dad enrolled me in Krav Maga and I got much stronger and loved how I felt. My dad used to be a competitive bodybuilder and powerlifter, so he started taking me to the gym. I eventually blew up in size and rumors started at school that I took steroids. I thought it was funny and my friends came up with a nickname that they still call me today: J-Roid. I competed at my first powerlifting meet during my freshman year and won my weight class. I competed in Powersports: curl, bench, and deadlift. I currently hold two state records for Arizona Powersports in the 123-pound and 132-pound weight classes. People always said I should do bodybuilding because of my physique, but I didn&apos;t know where to begin. Luckily, I met someone I used to go to school with who taught me how to pose and diet. 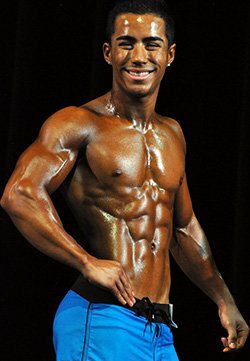 With his help, I competed in my first show in July 2013 and won the men&apos;s open class A and men&apos;s teen. That show made me realize that I want to be a bodybuilder. 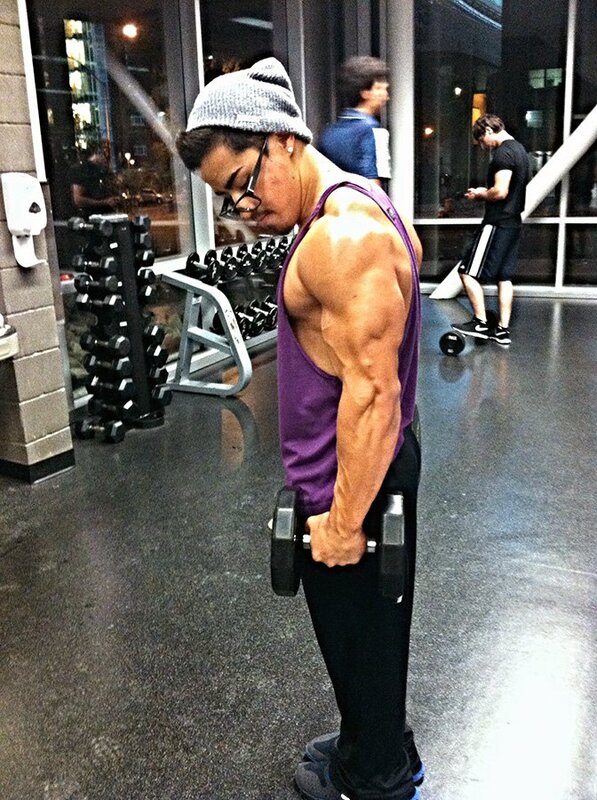 I plan to get my IFBB pro card in 2014 which would make me one of the youngest IFBB competitors ever at age 18. I try to isolate my muscles as much as possible. Before each rep, I flex the muscle I&apos;m lifting to help me concentrate and focus. I do lots of dropsets toward the end of my workout. The key is to know your body and push to failure. You have to overtrain your muscles to get bigger. "I don&apos;t look at what I have. I look at what I need to improve on. I can always be better." I love that bodybuilding is 24/7. The ultimate vision of my perfect body drives me to keep pushing. When I look at myself in the mirror, I&apos;m never satisfied. I don&apos;t look at what I have. I look at what I need to improve on. I can always be better. Matt Ogus and Kai Greene are very inspiring to me. I watch videos of them every day. Kai Greene is the most motivational bodybuilder to me and I can relate to Matt Ogus because he comes from a similar background. I type in "Bodybuilding Motivation" on YouTube and watch videos to get pumped up. I also think about how I want to look and that I want to be better than I was yesterday. "You have to overtrain your muscles to get bigger." I plan to get my IFBB pro card in the summer of 2014 and see where I go from there. I&apos;m staying in college and majoring in business, so I&apos;m excited to see what I can get out of it. Your mind will give up 100 times before your body does. You can&apos;t give up because your body hurts. Matt Ogus, Jay Cutler, Kai Greene, Chris Lavado, and Jeff Seid are my favorites. I buy most my supplements from Bodybuilding.com. When I was getting ready to compete, I read articles about carb cycling and peak week on the site. I also use many workout plans from the Exercise Database.